Home to about 1 million people, Sendai is Tohoku region’s largest city. It is old, even by local standards, and was founded in 1600 by one of the most powerful feudal lords of Japan, Date Masamune. Several historical attractions are mostly related to the Masamune clan. Winters (December – February) in Sendai are cool but dry, with temperatures ranging between 0 and 5 degrees, and about half the season experiencing snowy days, with snowfalls of between 15 and 30 cm. Its summer season (June – August) is quite warm, with day temperatures hitting around 25 to 30 degrees, and it sees a lot of rain, especially in the months of June and July, but very rarely experiences typhoons. 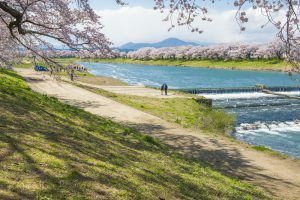 Spring (March – May) and autumn (September – November) offer pleasant days, with temperatures between 10 and 20 degrees, perfect for sakura and autumn leaves viewing. 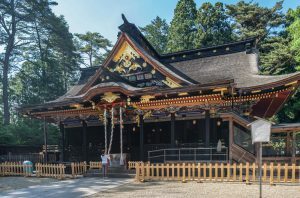 The resting place of Date Masamune, one of the Japanese Edo Period’s most influential feudal lords, Zuihoden is a mausoleum that showcases stunning, detailed and intricate designs and woodwork, tucked into a forested area of the city. In addition to Masamune’s tomb, other Date clan members are also entombed there, including his son Tadamune and grandson Tsunamune. The Tanabata Festivals are observed all over Japan, but Sendai’s Tanabata Matsuri is the most popular and among the most well-attended of them all. Also called the “Star Festival”, the event is held in the first week of August (6th to 8th) and involves several displays of large, long, brightly-coloured streamers put up at various shopping arcades around the city. Considered to be one of the 100 best waterfalls in Japan, Akiu Falls is a majestic, 55-metre high natural wonder that is tucked into an untouched part of Sendai, in Miyagi Prefecture’s Northern Honshu region. Getting there takes about thirty to forty-five minutes on foot, climbing up several steep staircases and passing through a serene and picturesque wooded area. Feudal lord Date Masamune’s castle fort, the Aoba Castle, was constructed in 1600 and suffered a number of disasters through the decades (a huge fire in 1882, a bombing in 1945), leaving just a guard tower and some remnants of its outer walls. A statue of Masamune on a horse overlooking the city of Sendai, and a museum that features some artifacts of the castle’s history are also found on the site. 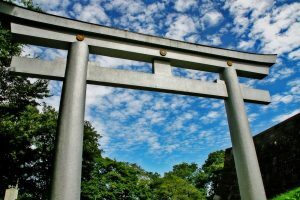 Dedicated to the Shinto god of war, Hachiman, the Osaki Hachimangu Shrine was built in 1607 in accordance with Date Masamune’s orders. It has been restored in recent years, and consists of a main building with a main hall and an offering hall. Built in 1441 by Date Mochimune, the Rinnoji Temple serves as the family temple of the powerful Date clan. It has a main hall, a pagoda and a Japanese garden, which features several walking paths, a pond and beautiful and colourful flowers, trees and shrubs. Sendai Downtown – Because of the many trees in its public parks and spaces, Sendai has earned the nickname, “The City of Trees”. The downtown area has an abundance of greenery, even inside the Ichibancho Arcade, which is a covered shopping area made up of numerous boutiques, shops, restaurants, stalls and markets that sell a wide selection of goods, from cheap local products to expensive tech gadgets and designer clothing. Sendai Station – Sendai Station is Sendai’s major railway station. It services several Shinkansen, JR and subway lines. Featuring many restaurants and specialty shops, it is a good place to shop for souvenirs or grab a quick bite of some Japanese food before you depart for your next destination. It also has a walkway right by the exit that provides easy access to the large department stores, malls, restaurants and other establishments nearby. Also in the area is the Asaichi, which is a small produce market that offers a multitude of stalls of fresh flowers, plants and local foods. Sendai has regular city buses and two subway lines. 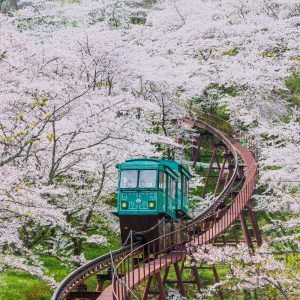 For tourists, the most convenient way to visit all the tourist attractions in the city is via the Loople Sendai, which is a special tourist bus service that stops at all the major sightseeing sites. A one-day Loople pass can be purchased at the Sendai bus station for 620 yen.